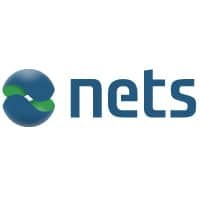 Nordic payments service provider Nets is to launch a mobile payment service in Denmark in autumn 2016 that will use host card emulation (HCE) technology from Japanese card issuer JCB, the two companies have announced. The partnership will enable consumers to load the Dankort Danish debit card onto mobile phones and use it to make in-store payments. Nets will utilize JCB’s J/Speedy contactless technology for the service. “Dankort on the mobile phone can be accepted by all merchants accepting Dankort based on the current subscription model and the existing terminal infrastructure,” the companies say. “Merchants who have already activated their terminal to accept contactless payments will only have to make small adjustments to their terminal setup. “Paying contactless with the mobile will be very similar to the payment experience when using the contactless cards at the point of sale (POS). The users just ‘tap and go’ without any physical contact between phone and terminal. If the payment exceeds DKK 200 (US$30), a passcode must be entered on the phone to complete the payment. “As a result of the partnership agreement, Nets will, with support from terminal vendors and integrators, gradually prepare Danish terminals to accept payments with Dankort via mobile phones,” the companies add. The service will also enable JCB cardmembers visiting Denmark to make J/Speedy contactless payments using their JCB cards. “We are confident that our mobile payment program is a secure and future-proof solution which a lot of Dankort issuers and merchants will be satisfied with,” adds Kimihisa Imada, deputy president of JCB. Nets signed a deal in February to deploy Carta Worldwide’s Token Processing Appliance (TPA), enabling it to provide its more than 200 client banks with the ability to deliver token-based secure mobile payments services to their customers. Nets SVP Hans Henrik Hoffmeyer will be discussing the tokenization platform and the company’s plans for the Dankort HCE payments rollout in a webinar hosted by NFC World editor Sarah Clark on 12 May. Readers can register free of charge to attend the event here.